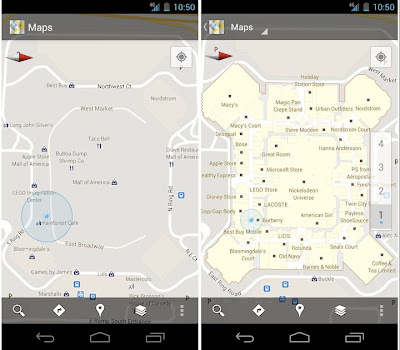 Google Maps goes indoors … ooh, look, a sale! The Holy Grail of marketing is the ability to influence consumers when they finally go into purchase mode — and today, in 2011, after all our decades of advertising influence, we still can’t do that. Walk into a wine shop or Victoria’s Secret and there is no voice whispering in your ear saying, please, buy this instead. Some mobile apps attempt this but most are cumbersome, filled with game mechanics of points and mayorships. Joe Sixpack is just too serious to adopt Foursquare games. 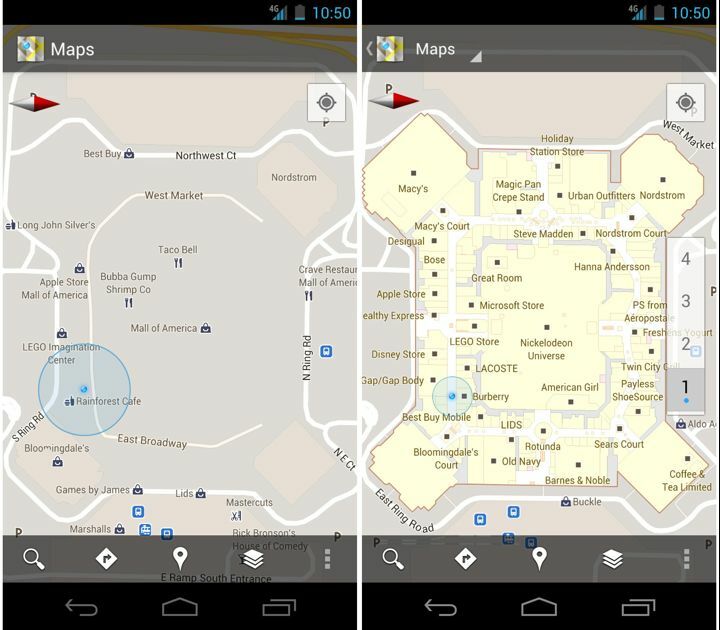 Google gets closer by bringing its Maps feature indoors. Users of Android handsets can boot up layouts of airports, malls, or stores (all in staged rollout) such as Home Depot and Macy’s. Google claims the GPS system is tuned tightly enough that it can even recognize your position if you move up or down levels in a store or mall with multiple floors.